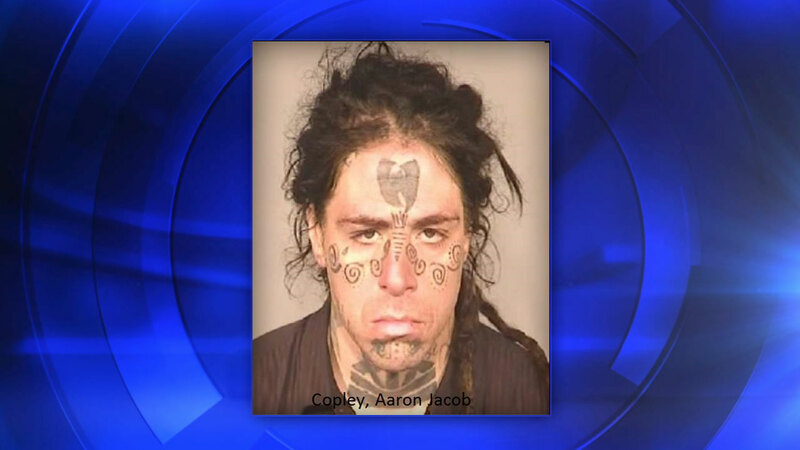 FRESNO, Calif. (KFSN) -- According to Fresno police, Aaron Copley was arrested after a short foot chase for a car burglary. Police said they saw Copley riding a bike in the area of McKinley and Fruit when they attempted to stop him for a traffic infraction. He then ran from police. Once the officers caught Copley they found items that they determined he had just stolen from a car. Police returned the stolen items and Copley was booked on burglary charges.